The Writing Bug: Ghosties, Ghoulies, and Beasties, Oh My! Ghosties, Ghoulies, and Beasties, Oh My! Standing on the deck, I pull my jacket tight around my shoulders. The evenings are chilly now. I gaze out at my butterfly garden, once full of color, now fading. It’s starting to get dark. Walking back inside, I drop my jacket on a chair. I find myself glancing at the fireplace. Should I build a fire? And then I remember…it’s nearly Halloween. I close the blinds. I check the door locks. 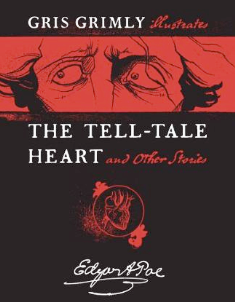 I sit in my favorite chair, pull a quilt over my lap, and curl up with one of my favorite scary tales. I love scary stories. Stories that make me pull that quilt up a little higher, almost to my chin. Stories that make me hear every sound the house makes as it settles into the foundation. Stories that make me want to peek carefully around the blind so I can see outside the window to my front porch…is there someone--or something--out there?? I'm such a wimp when it comes to creepy reads. I still regret reading The Exorcist and The Amityville Horror when I was much younger. But I do love Edgar Allen Poe and Dracula. And The Shining. Have a happy Halloween, Shirley! Thanks, Jenny! Loved your most recent post "The Creepy Room."